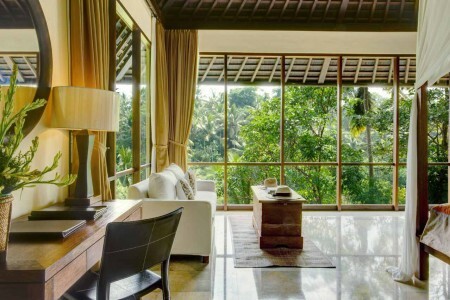 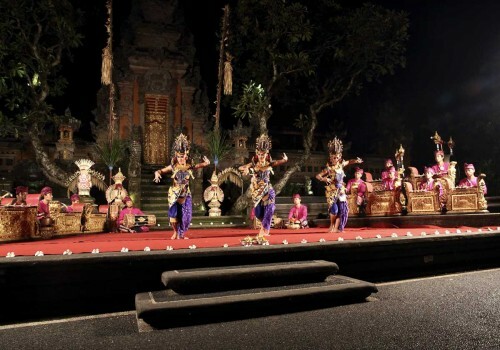 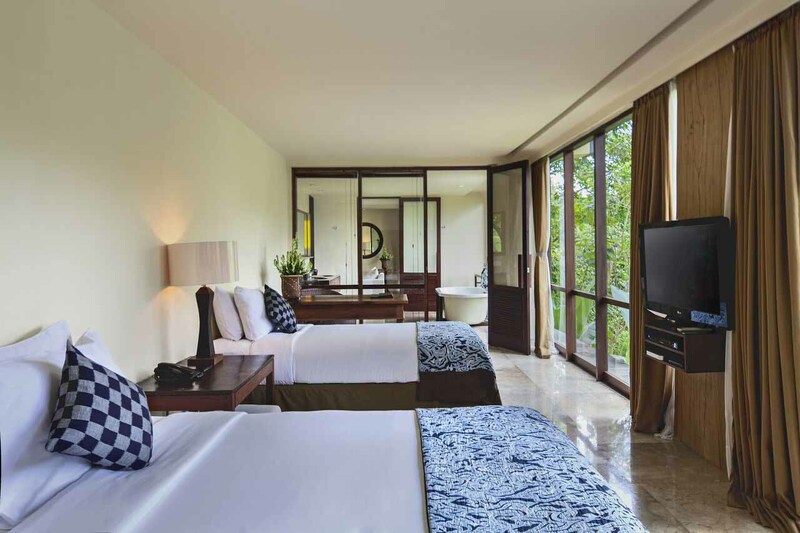 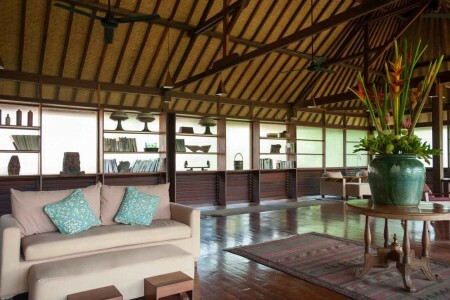 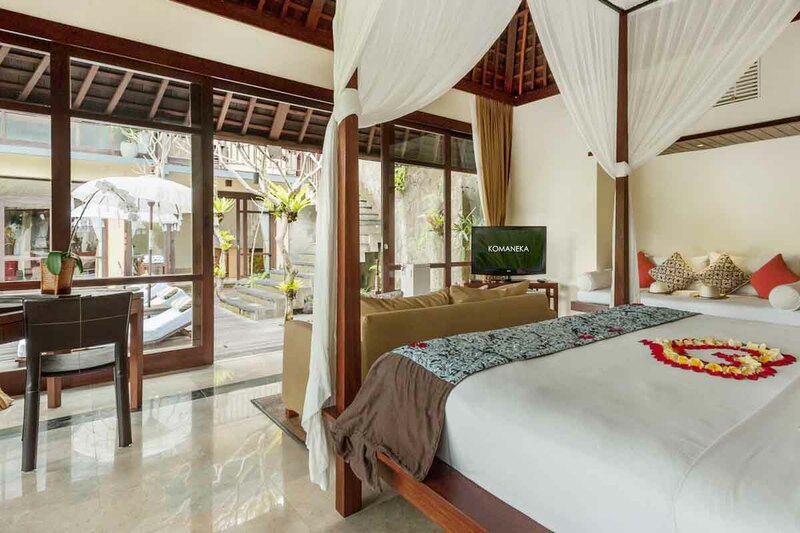 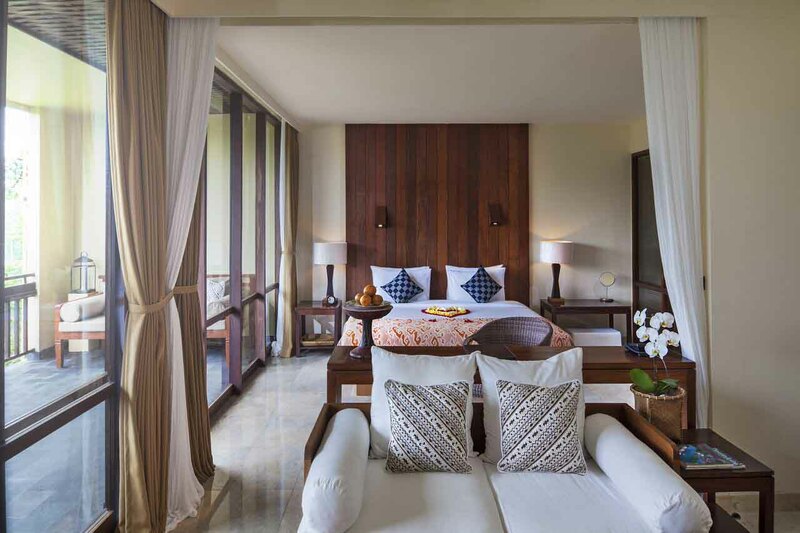 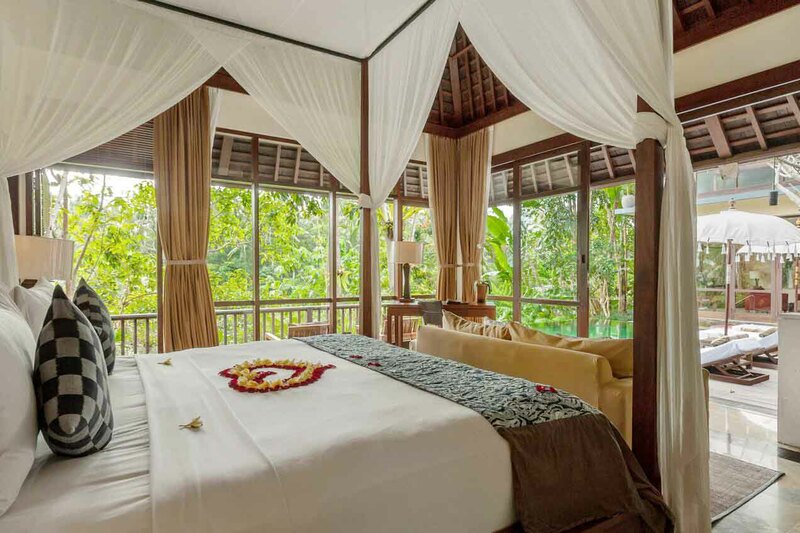 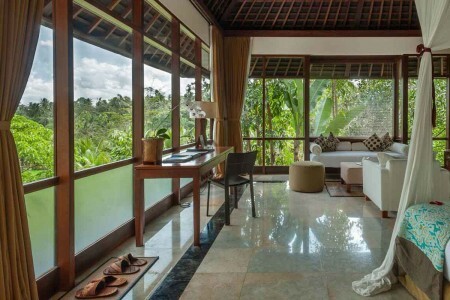 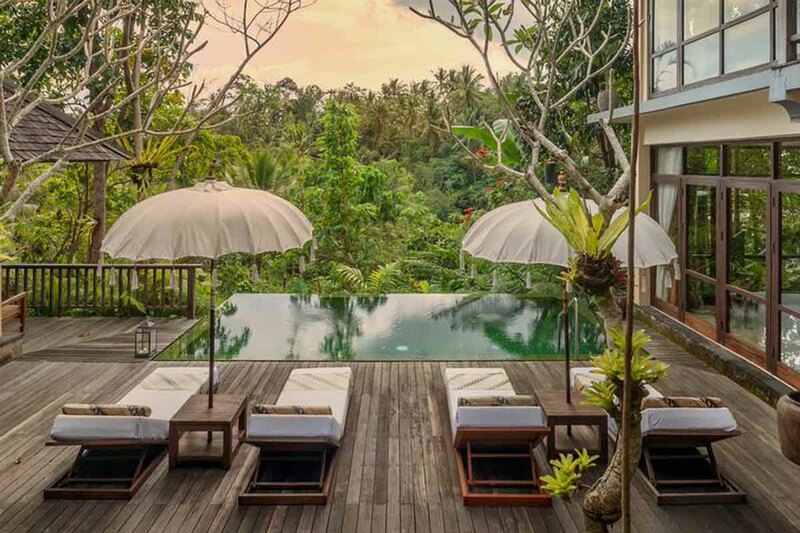 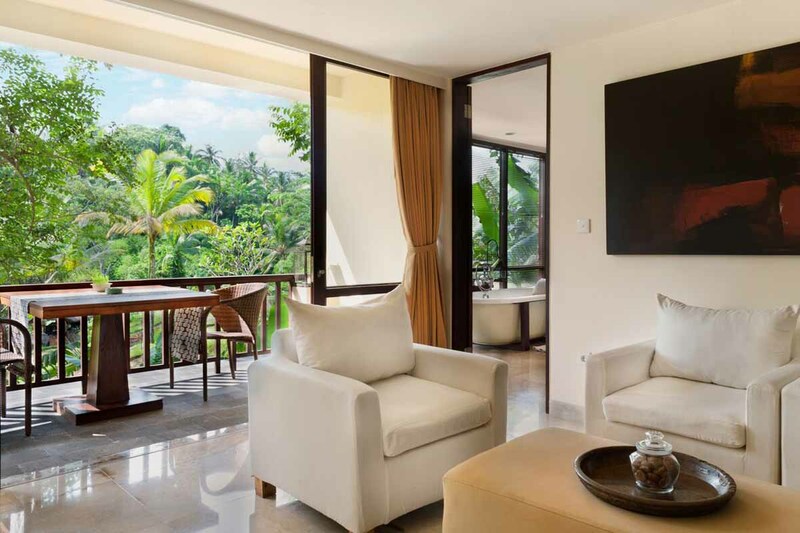 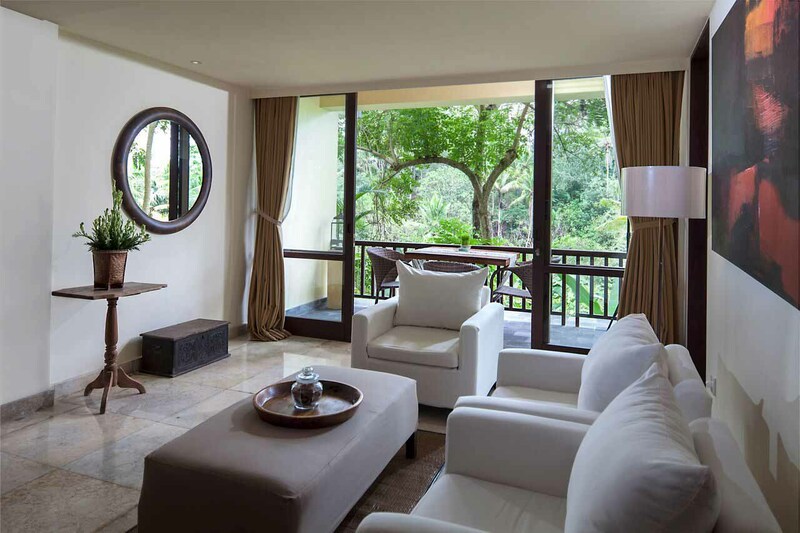 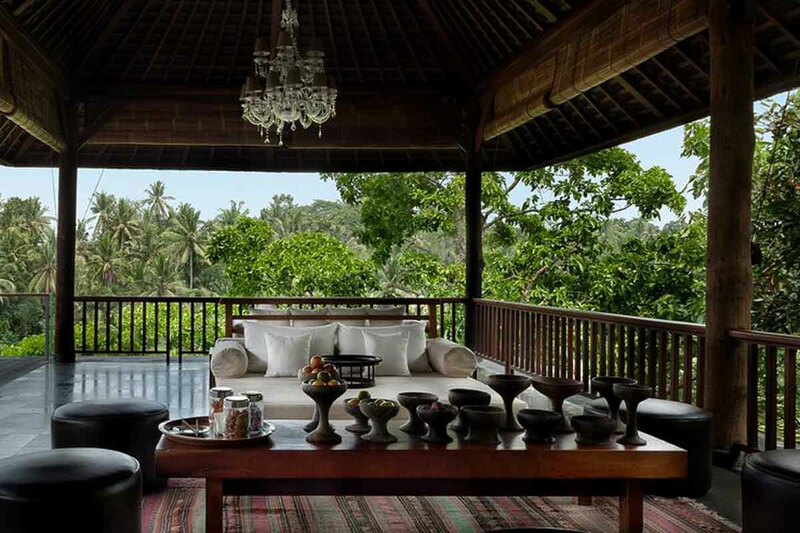 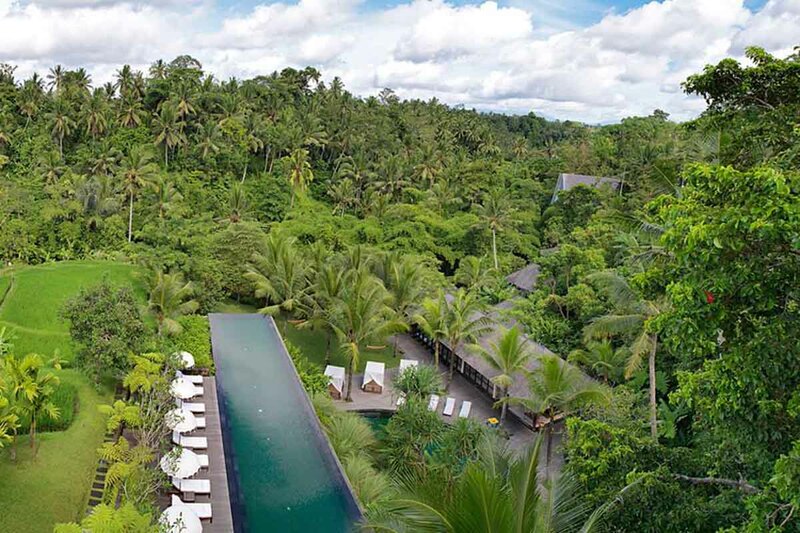 Komaneka at Bisma is about grand spaces, luxurious interiors, and a heart-lifting panorama over a valley of tropical rain forest - all just a 10-minute walk from Ubud's Main Street. 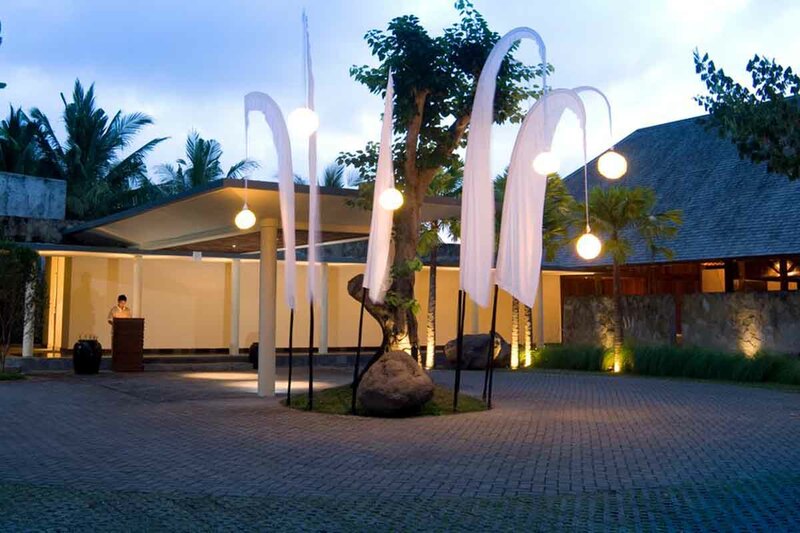 The resort's iconic 33-meter lap pool is the jewel of this beautiful five-hectare resort. 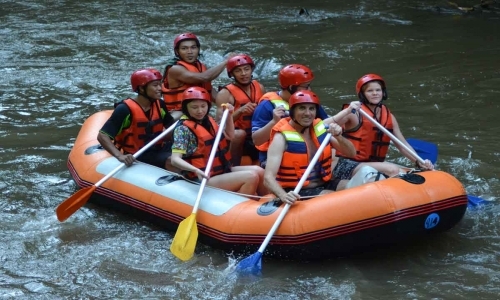 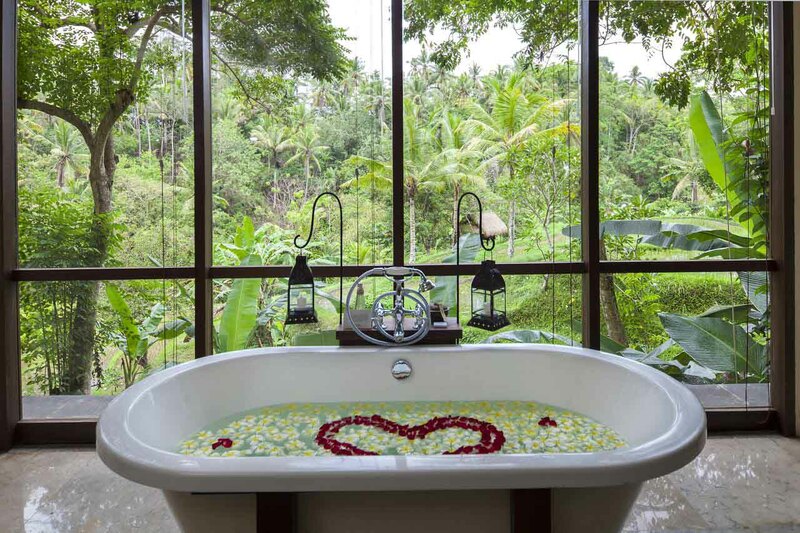 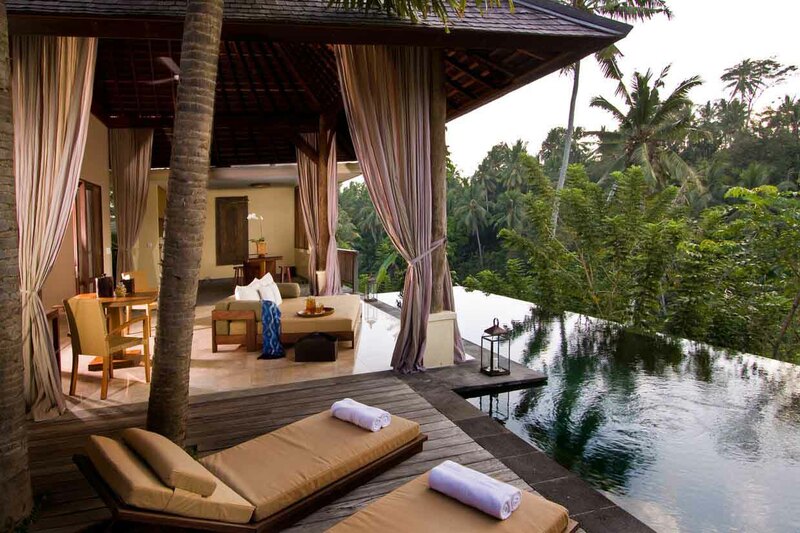 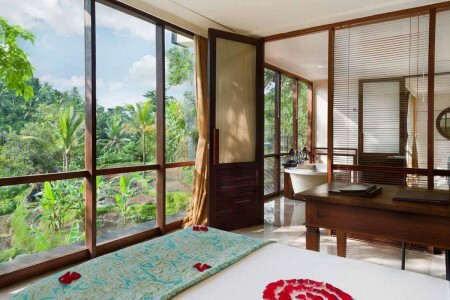 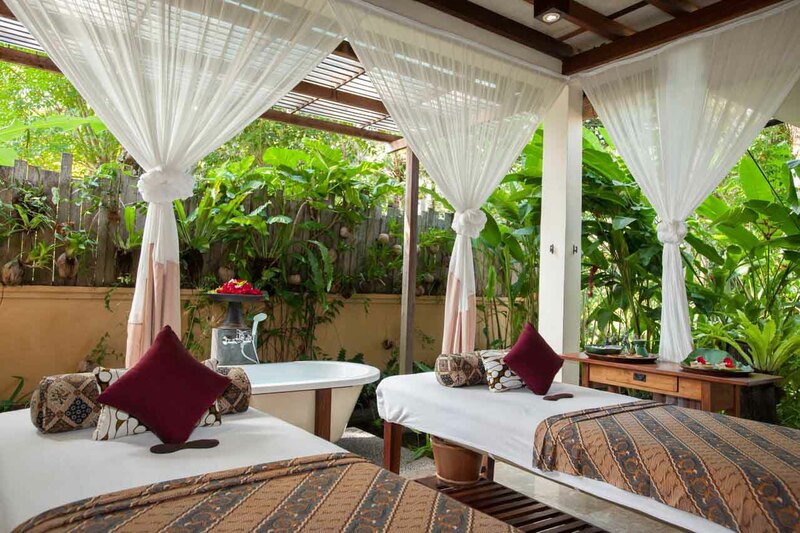 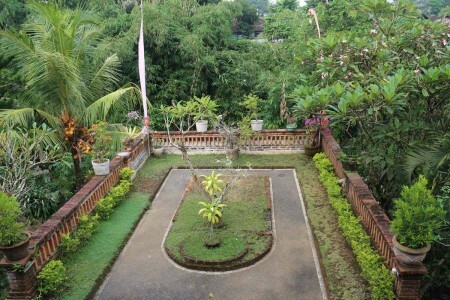 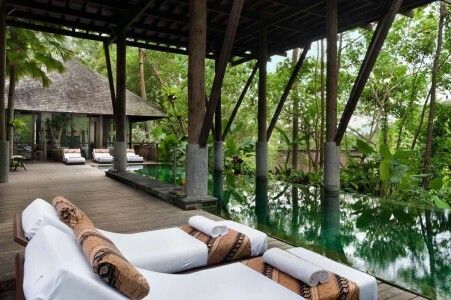 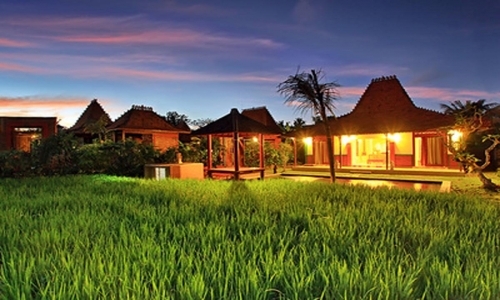 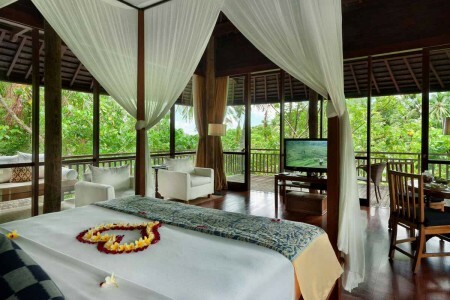 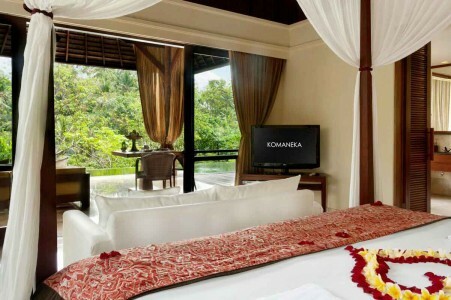 Nestled in the tropical gardens are the resort's own rice fields, the Wanasmara non-denominational wedding chapel, a Spa Villa with adjacent semi-circular leisure pool, and a jogging path. 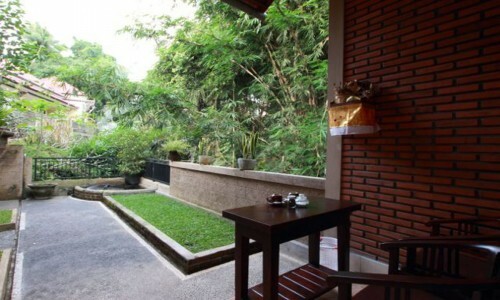 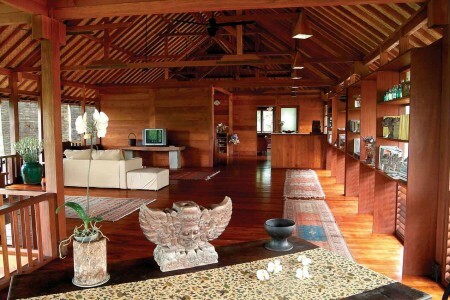 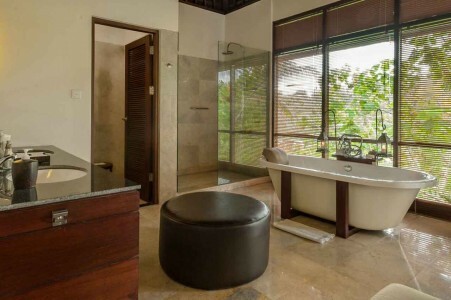 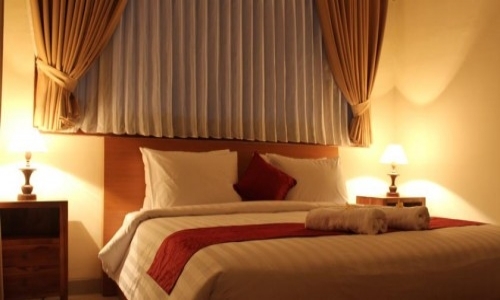 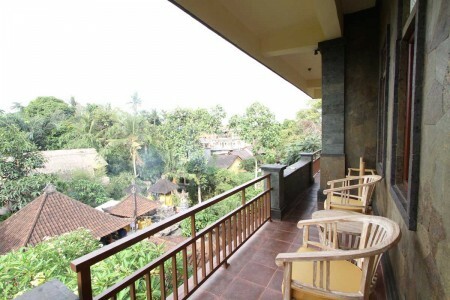 The Suite Rooms have broad balconies and beautifully appointed living spaces. 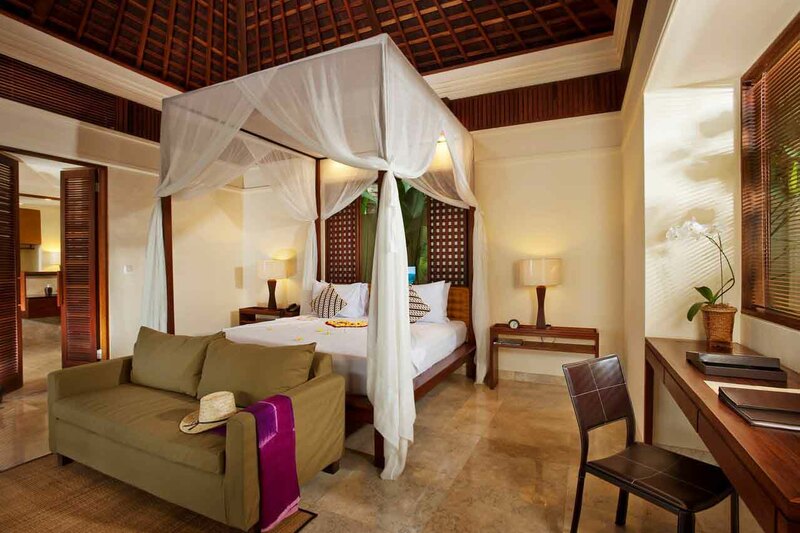 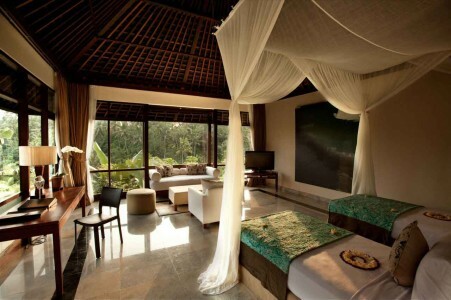 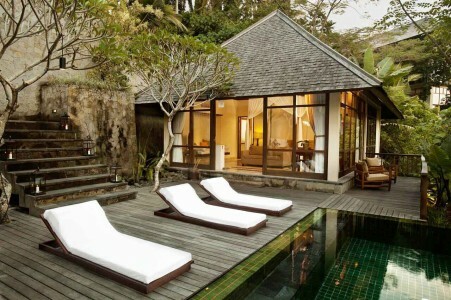 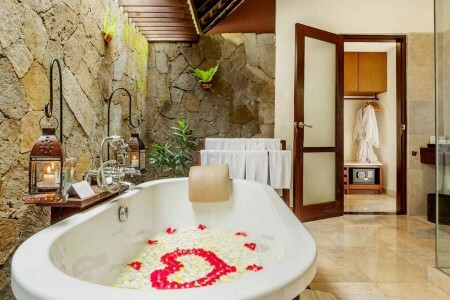 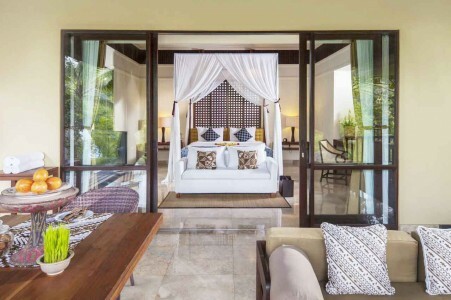 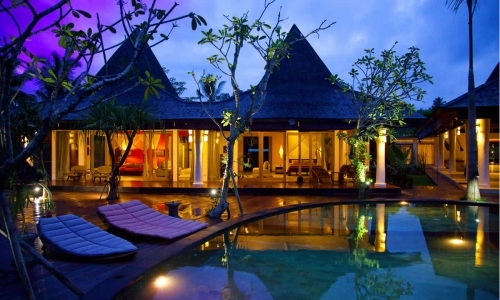 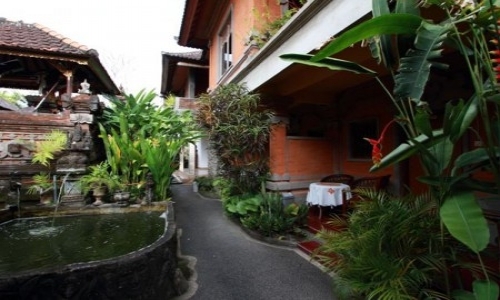 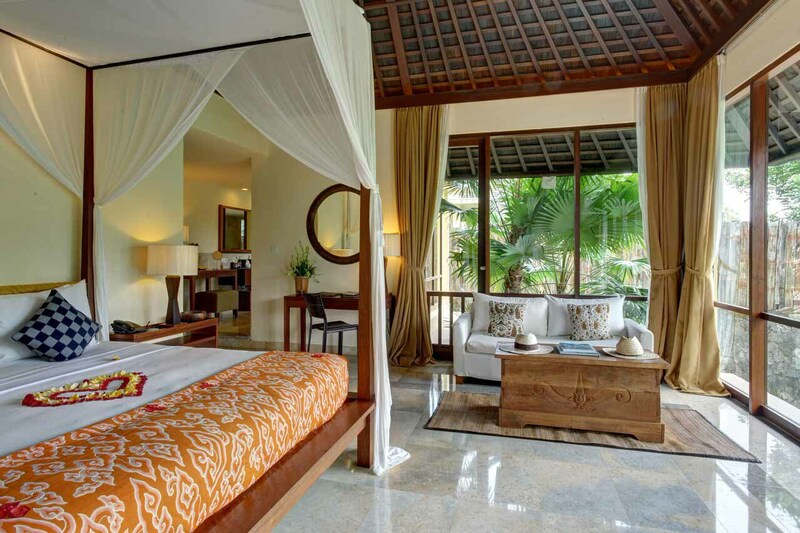 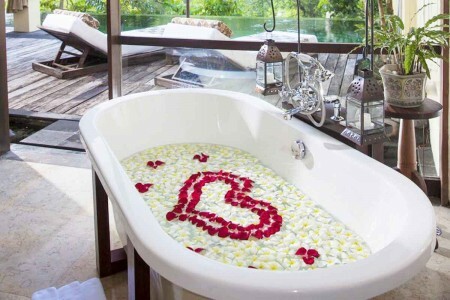 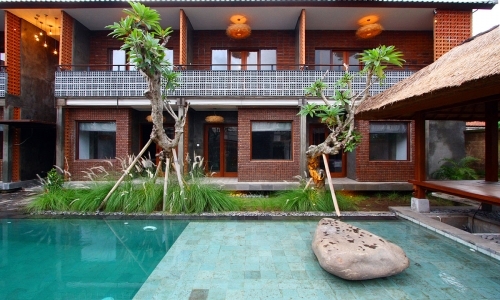 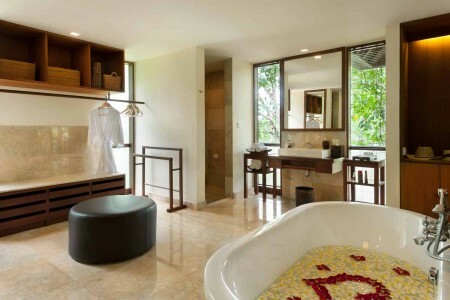 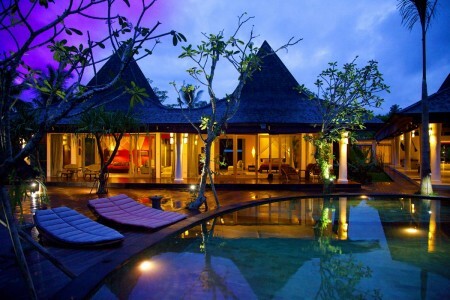 Romantic one-bedroom Pool Suites with 8-meter lap pools, are perfect for a secluded honeymoon. Two-bedroom Pool Suites are ideal for families or small groups. 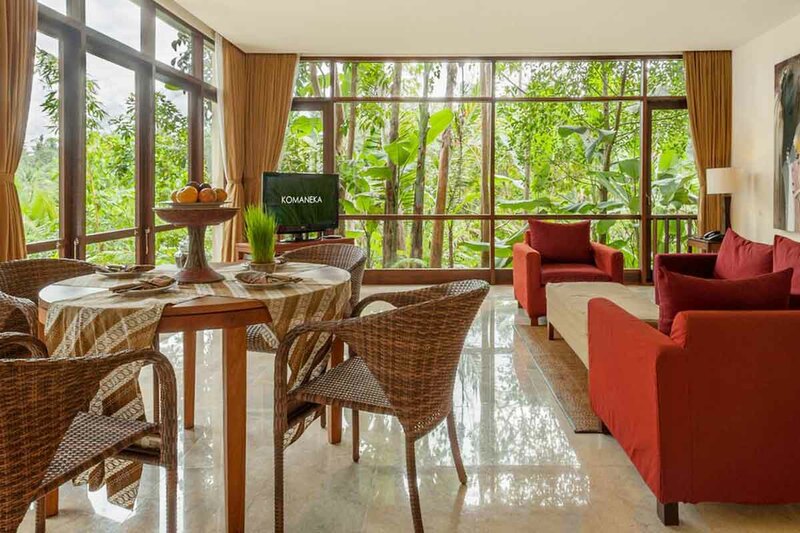 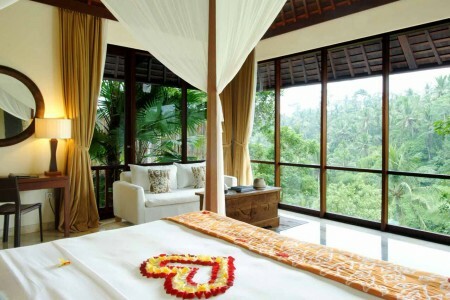 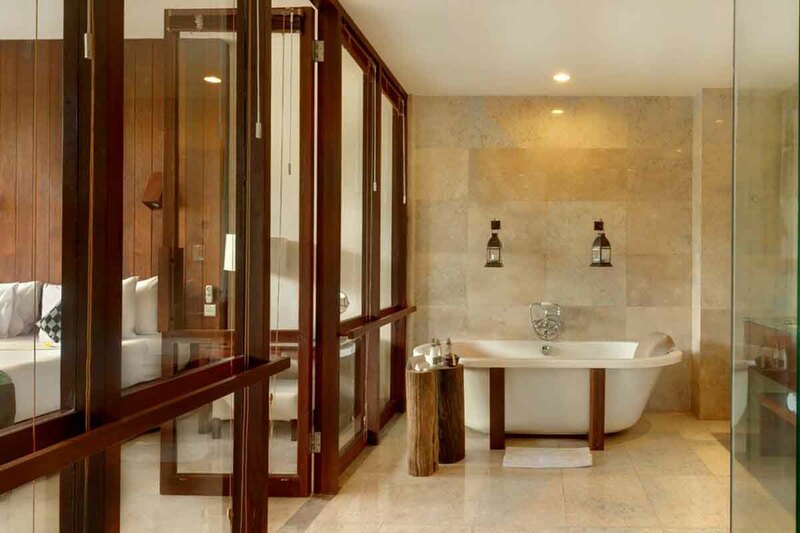 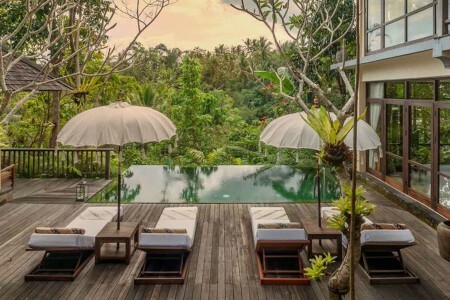 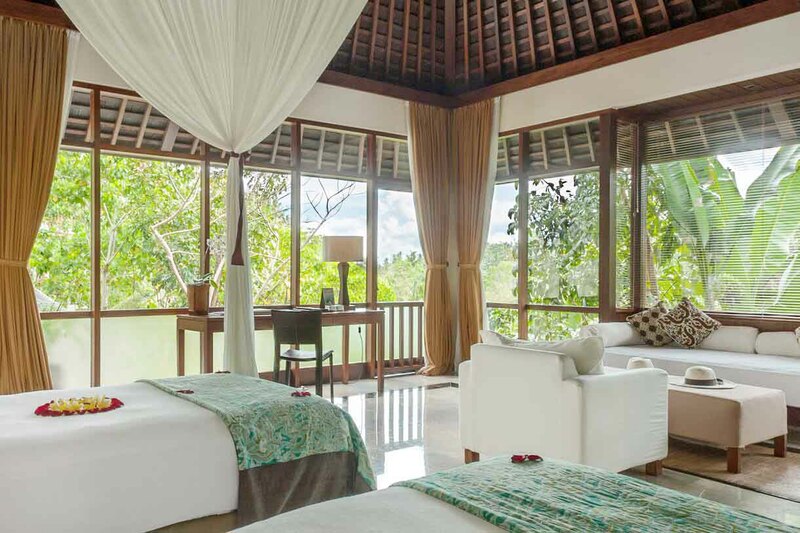 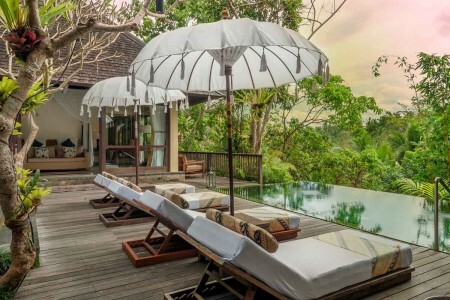 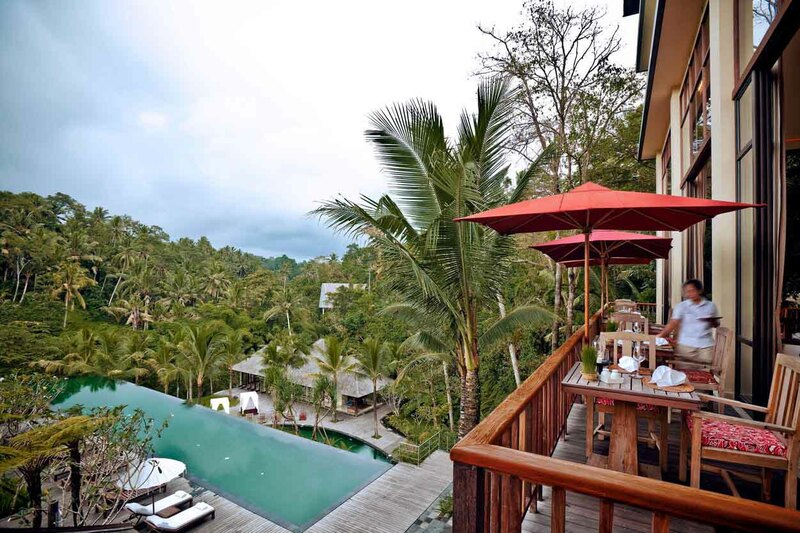 At the northern end of the property is the handsome, very private 3-bedroom Bisma Residence, with three free-standing pavilions whose glass walls look out into the tree tops. 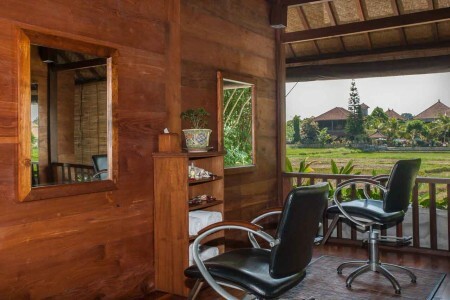 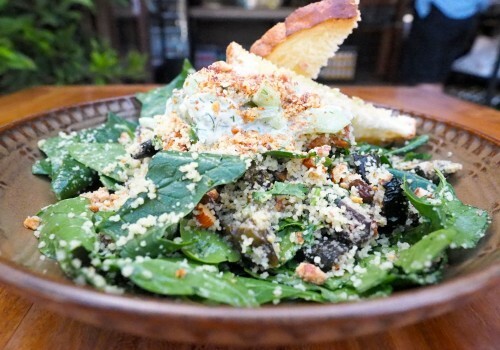 Komaneka at Bisma is in an upcoming neighborhood, where small hotels and new restaurants are springing up between the rice fields.